We are taking reservations for the mushroom gathering experience. This year, as well, we are starting our “mushroom gathering experience” from September (reservation-only). You will enter the mountains with the owner, and pick mushrooms. You can learn how to distinguish between edible and non-edible mushrooms as you walk around. Ichinomiyamachi, promoting farm village leisure activities, has received accreditation from the Cabinet Office as “the village of Karyuzakura/Ichinomiyamachi Doburoku special area”, anda certificate for the special zone for the structural reform（special area plan）was received at the Prime Minister’s official residence. 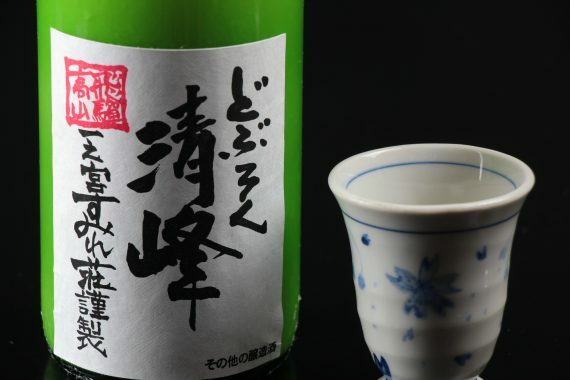 At Sumireso, we are manufacturing Doburoku brewed sake, which has home-grown rice and Mizunashi Shrine underground water (water gushing out from the ground at Mt. Kurai) as ingredients. We provide this to the guests staying at our lodge. Please give it a try. We also accept orders for delivery at any time. Please feel free to use this service.